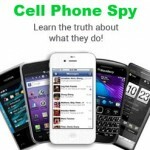 Cell phone spy software, also known as spy app, is a mobile app that secretly monitors and obtains information from target phones. It records phone calls, text messages and other sensitive information. All recorded data is sent to the app’s server. The spy app runs in the background and cannot be detected by users. Different spy apps may use different terminology, but they all work the same way. You install the app on the target phone, then enter your license key, then let the app do its thing. You can then monitor their phone activity through your online account. Here’s an overview of the process. You’ll need access to the target phone at least once, to install the spy app. Apps like Hoverwatch are extremely easy to use, and can be installed within minutes. It runs in the background without the user’s knowledge. Once it’s installed, you can monitor and track their phone activity remotely, without having to physically access the phone again. 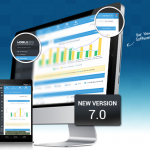 All the monitoring data is stored in the cloud and can be accessed via a web-based portal. If you want to install a spy app on an iPhone, you MUST jailbreak the phone. Jailbreaking allows you to use software that Apple doesn’t authorize. 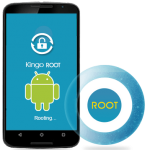 No rooting is required for the installation and use of the app but you will be required to root the Android phone if you want to use advanced features like call intercept and instant messenger monitoring. If you’re looking to monitor an iPhone, but you don’t want to deal with jailbreaking, then consider the mSpy no-jailbreak solution. 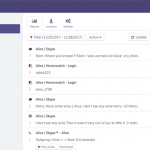 This web-based tool lets you easily monitor call logs, track messages (iMessages, text messages and WhatsApp), view browsing history – all without jailbreaking the phone. You will need their Apple ID login credentials, and iCloud Backup must be enabled on the iPhone. Read more: Is it possible to install cell phone spy software remotely? The control panel is a web-based interface provided by the spy software company that allows you to check all recorded logs of the monitored phone’s activities like phone calls, texts, instant messages, emails, photos, videos, contacts, browser history and much more. It also allows you to see the phone’s location on a map. Download and review all the activity logs, such as recordings, photos, videos, messages or logs directly to your PC. Remotely control the phone, such as lock or unlock the phone, start recordings, interrupt cell phone usage and even delete the software. Set up alerts and notifications. Get instant alerts when a specific word is used in an SMS or email. 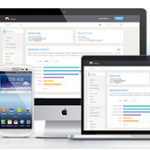 Access all your account settings and manage your payment options. 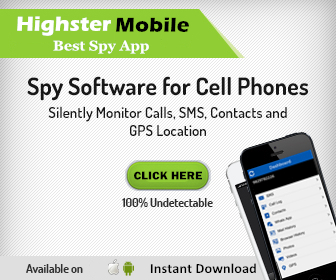 Most spy apps, like Mobile Spy, mSpy, Highster, and FlexiSPY are compatible with both Android and iOS devices. A full list of compatible devices can be found on the company’s website. Make sure that the user’s phone is on the list of supported devices. Most of these apps should work on all devices running Android 4.0 and higher, but note that some features are only available on rooted devices. 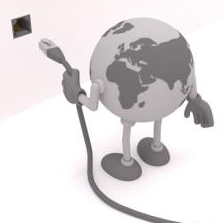 The spy app requires an internet connection to work properly, whether it’s through Wi-Fi or a cellular data network. 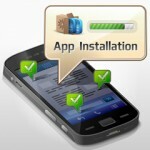 The app collects data from the device and sends it via the internet to the app’s server. 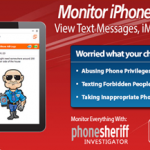 Cell phone spy software is designed to monitor activity on a smartphone and record data such as text messages, call logs, keystrokes and more. 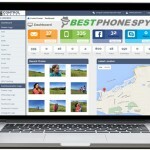 Parents may use spy software to monitor their children’s phone and social media activity. Employers may also install monitoring software on company-owned devices to track an employee’s email or internet activity. Before buying a spy software, make sure it’s compatible with your target phone—some work only with rooted Android devices, and some require jailbreaking.